Lyndon Larouche and Abel Danger Are Singing from the Same Hymn Book. 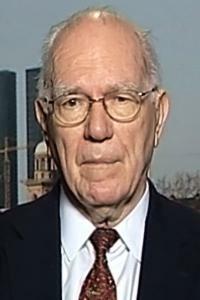 I wonder if the 'forensic economists' of Abel Danger Group (that's American 'Field McConnell' and Canadian 'David Hawkins' and others...) realize how close their theories of who did 9/11 and why are TOTALLY IN TANDEM with the ideas espoused by Lyndon Larouche. He's suggesting President Obama is clinically insane, and simply deep-bowing and kow-towing to the Big Corporations that run the CITY OF LONDON a.k.a. The British Empire. He's laying out all the guts of the Global Chess Game, Full Spectrum Digital and Physical Dominance and the Nuclear Usurpation of India, China and Russia in World War Three. Wow, this is crazy stuff. Crazy (invigorating) stuff. Yes, I'm listening to Lyndon Larouche right now on the Alex Jones show and I'll update this post with EMBED'D VIDEOS later on, when they arrive on AJ's youtube channel. And you can bet your life that I'm getting obsessed with Alex Jones's Prison Planet show again, as I was during the financial crash of 2008. It's all happening once again, only this time THIS IS IT, this is the Big One. Can't you feel the ominous chill in the air. VIDEOS TO GO HERE, later tonight.